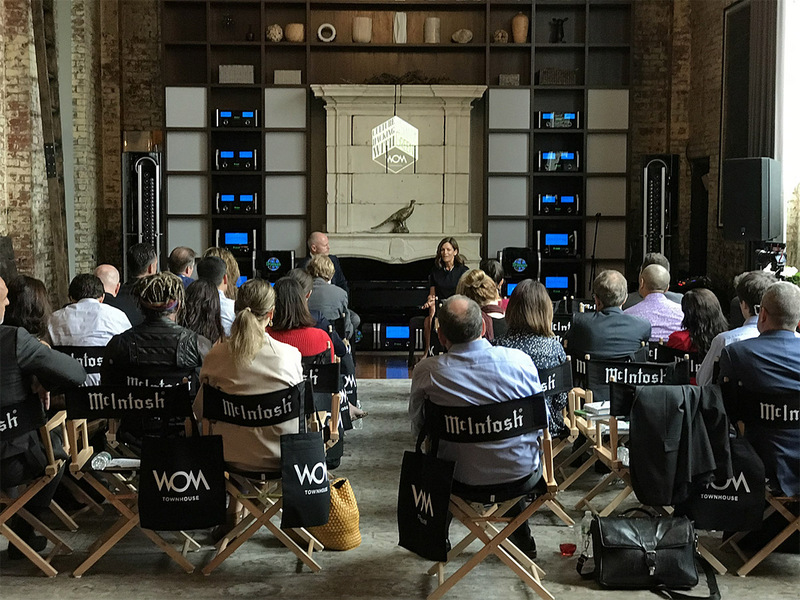 The World of McIntosh Townhouse in NYC’s SoHo neighborhood recently hosted the inaugural event of the new #CultureHacking series in partnership with famed corporate culture consultant, Shane Green. Shane, a world-renowned speaker, author, and television personality, is currently working with United Airlines and has previously gone under the hood at companies including BMW, MGM, and the NBA to overhaul their internal cultures. The #CultureHacking series features live discussions hosted by Shane with current, rising titans within the business world to an intimate audience of C-suite executives. The 12,000-square foot townhouse offered a distinctively unique backdrop for the first event in the series on October 1st, where Shane sat down with Ruth Zukerman, founder of rival fitness empires SoulCycle and Flywheel Sports. On the eve of the launch of her new book, Riding High: How I Kissed SoulCycle Goodbye, Co-Founded Flywheel, and Built the Life I Always Wanted, Shane and Ruth discussed the role that culture played as Ruth built her business and her views on the current corporate landscape in the wake of cultural revolutions such as the #MeToo movement. The World of McIntosh is thrilled to partner with Shane Green for the #CultureHacking series with additional events planned through the end of 2018 and early 2019.